Green energy resource is the development trend on CES, 2016 and Airwheel is environment-centred. Abstract: The CES 2016 ended on ninth, Jan with a great harvest, which shows the development trend in a variety of technological fields. Apart from the intelligent trend, green energy resource is also the development trend, especially in the transportation sector, for instance, the Volkswagen has released its latest electric car on CES. Different from the car sector, Airwheel is specialized in the intelligent electric scooter, being environment-centred. Apart from the intelligent trend, green energy resource is also the development trend, especially in the transportation sector, for instance, the Volkswagen has released its latest electric car on CES. Different from the car sector, Airwheel Technology is specialized in the intelligent electric scooter, fashionable and environment friendly. From the very name, we can learn that the Airwheel electric self-balancing scooter is energized by electricity, which is environment friendly and zero release. What's more, the global known lithium battery brand—Sony or Panasonic mounted on Airwheel is known for its excellent performance and longer service life. To be more exact, the battery features 1,800 recharge times, 3.8 times life expectancy and 2.9 times duration of ordinary lithium batteries. It puts an end to the explosion or fires caused by battery. Just as many world famous car manufactories, Airwheel self-balancing electric scooter also has launched several different models to meet the increasing market. from the one wheel scooters X series, twin-wheeled electric scooters Q series and the 2-wheeled electric scooters S series to the latest A series, Z series and electric air board M series, Airwheel keeps innovation all the time through a great deal of market research. All of them are well acclaimed on the CES, as there are a host of visitors who queue up to have a test ride of the self-balancing electric scooters. 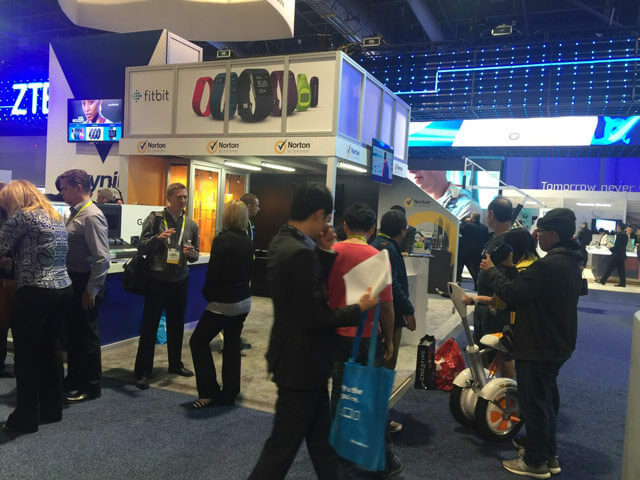 In a word, green energy resource is the development trend on CES, 2016 and Airwheel is environment-centred. In the future, more and more people will join the mass of riding green vehicles.